Entrepreneurial professional photographers are working on inventive new ways to monetise the industry. 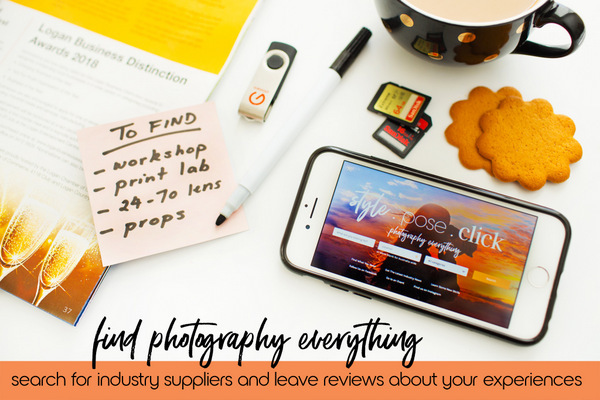 Style Pose Click is a new online photography supplier directory, which plans to create a paid, subscription-based marketing network for photo retailers and service providers. ProCounter is covering interesting new photography-related start-ups, with platforms like Album Registry aiming to generate more print sales for wedding photographers; and realistic safety training mannequins used to practice newborn baby posing. While online directories are plentiful, Style Pose Click is dedicated to photo industry suppliers. It covers photo retailers, print labs, framers, studio and equipment hire, web designers, prop manufacturers, and insurance brokers, while extending to other areas like photo groups and associations, assistants and second shooters, courses and workshops, publications and resources, and editing services. The website was founded by Queensland newborn studio prop designers, Samantha Daly and Kate Higgins. Over the last few years they have hosted nine events in five cities called The Prop Fair, a trade show for newborn photographers. The event expanded to include print products, camera and lighting gear, and a speaker schedule. They saw an opportunity to rebrand and pivot The Prop Fair into an online directory, resulting in Style Pose Click. The website is directed toward baby and family portrait photographers, a market Kate and Samantha know well. As ProCounter has observed several times, the business of baby photography is booming. The growth, dominated by female photographers, has led to a raft of new suppliers such as custom prop designers. While Facebook has served as a marketplace, the platform has aggressively commercialised, and tricky new algorithms limit the organic reach of posts and promotions. It is now expensive to effectively use Facebook to market products and generate sales. This is a problem both Kate and Samantha, and others in the industry are also grappling with it. Style Pose Click profits by having listed suppliers pay $149 annually for a Premium listing, or $499 for a Featured listing. Basic listings are free, but don’t include a number of functions and features include with a paid listing.